This is probably worlds first full custom carbon swimm ladder to fit on any kind of hullshape. For superyachts, tenders and sailing boats. 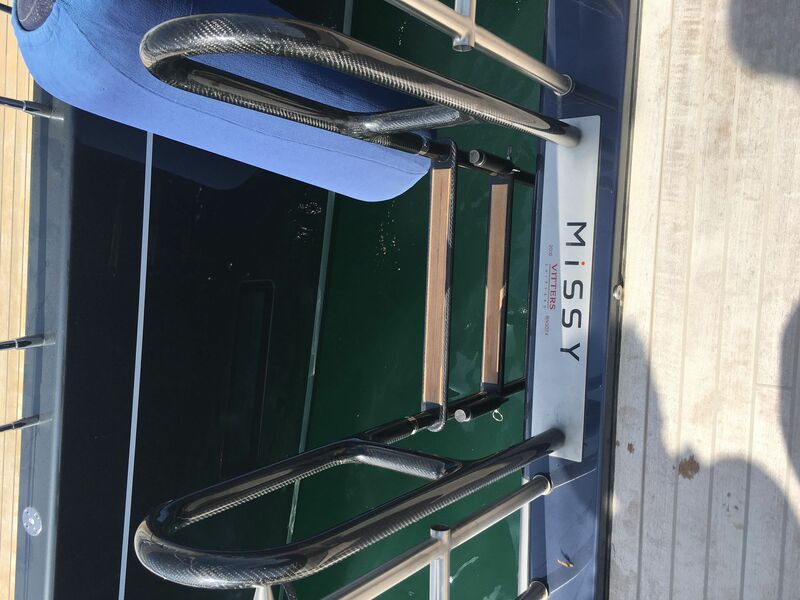 With a lot of features to use the same ladder on different spots on your boat. All this at a good price. Custom made bathing and boarding ladder made of carbon fibre. Colour: Carbon clear coated or on customers preference.